I hope you enjoy Xmas Greetings from these openly Gay actors: John Barrowman, Neil Patrick Harris, Matthew Wilkas, Andrew Hayden-Smith and Chris Colfer! Arrow star John Barrowman and his husband Scott Gill are looking handsome! Actor Neil Patrick Harris does Daddy duty reading to his adorable twins, Gideon and Harper. Actor Chris Colfer looks quite at home in his ugly Christmas sweater amongst the Royal Family. This holiday season, I hope you're surrounded by the people you love. Broadway actor Matthew Wilkas is hilarious as the man who doesn't know the words to popular Christmas songs! Yay you guyssssss!!!!!! I made a Christmas album! So excited to share it with you! 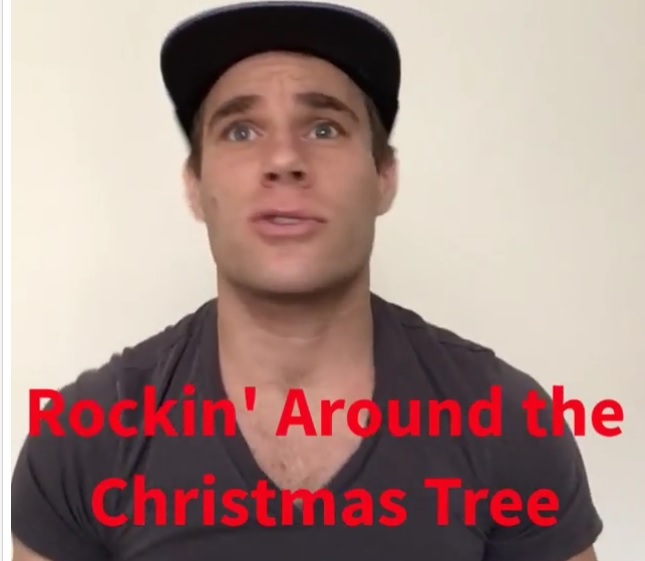 Handsome Brit actor Andrew Hayden-Smith gets a little cheeky during this festive season.